Every relationship we have is a reflection of our state of being. Therapists have long been telling us that whom we surround ourselves with (our friends and partners) is often a reflection of how we feel about ourselves. For example, if we have friends who consistently let us down, cancel plans and are generally unreliable these people don’t care about our feelings. This is, in fact, a mirror image of how we feel about ourselves. This can escalate further, for example, if you are very self-critical and judge yourself harshly, you actually are inviting such comments from these so-called “friends”. So why do we settle for bad, unhealthy relationships? When you are insecure and self-conscious, you’ll believe that this bad relationship you are in is exactly what you deserve. There are a few reasons why you may put with an unhealthy relationship or an unpleasant partner. You continually defend your partner’s bad behavior because you don’t think that you should be with someone better. If you have a fear or being alone, you will accept the bad behavior of these people you surround yourself with in order to not be alone. You will often neglect your own needs and desires in order to look after others as you think this is the only way you will be appreciated. Take a simple test in every relationship to check that it’s off to a healthy start and working for you. There are three questions you will need to ask yourself, honestly. Do I feel lighter after being with this person? 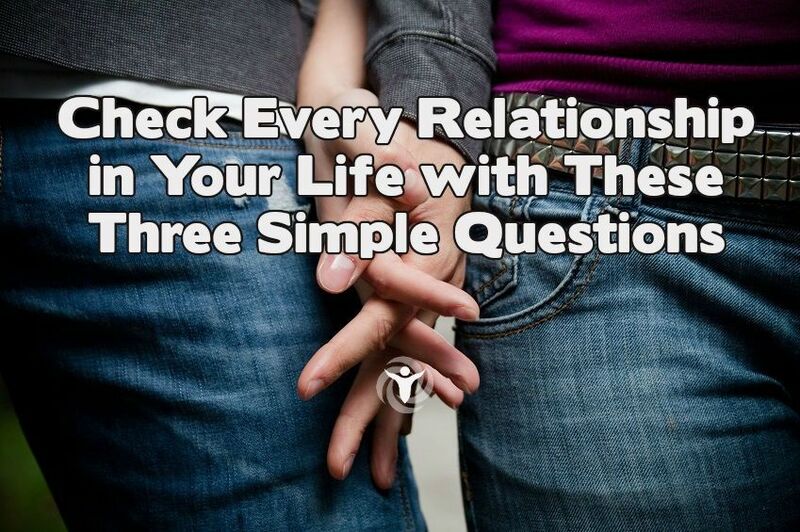 If you answer YES to these three questions you are off to a great start in this relationship/friendship. Obviously, things aren’t always black and white, your friends could be going through a difficult period themselves, so do give them a pass if they aren’t being particularly supportive. However if they consistently leave you feeling drained and disappointed, it’s time to cut the cords and move on to better people. When a friendship grows, it makes it stronger and durable. If a friendship mutually grows, develops and strengthens, it will withstand the test of time. A healthy friendship or relationship will leave you feeling happy and inspired. Knowing that you will always have someone to turn to and there will always be someone in your corner to fight for you. If a relationship or a friendship leaves you feeling neglected, disappointed, and particularly unappreciated its time to start asking yourself how you are allowing that person to treat you in such a way. It’s time to start standing up for yourself and challenging yourself to ask those difficult questions. If you aren’t happy with the answers you have to let go of the negativity and move on to bigger, better friends and partners. When you learn to say no to unhealthy, maybe even toxic friendships, it will allow the healthier ones to bloom and blossom.